Hello, all! 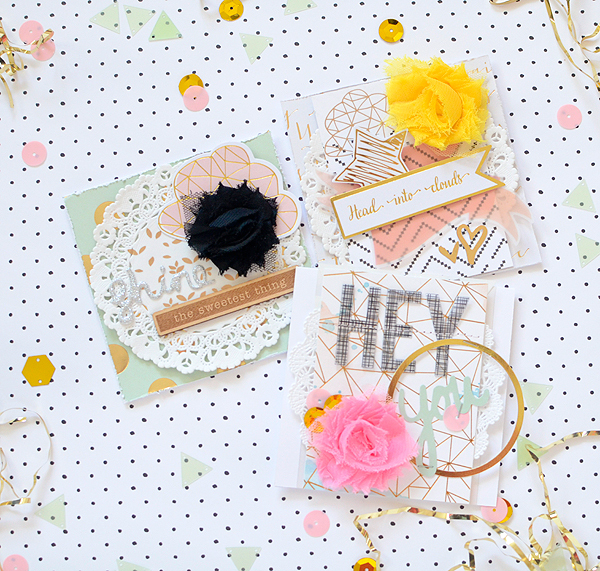 Have you had a chance to check out the Gossamer Blue March kits yet? They are so fun and filled with my favorite colors--mint, pink, gold, and yellow...with some black, too, that I ended up using quite a bit. 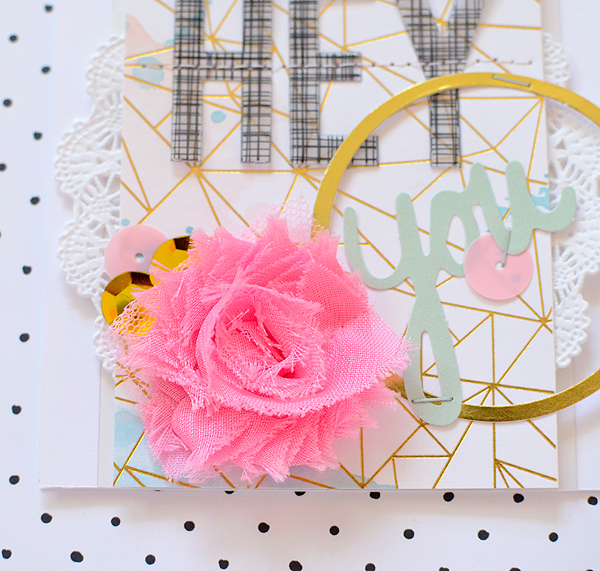 I fell in love with the black bits, actually, and on this card trio, for example, adding the black details in the midst of pretty pastels, gives the cards a bit of an edgier feel to them. The kits contained product from My Mind's Eye, Pink Paislee, and one of my new favorite companies, Pinkfresh Studio. 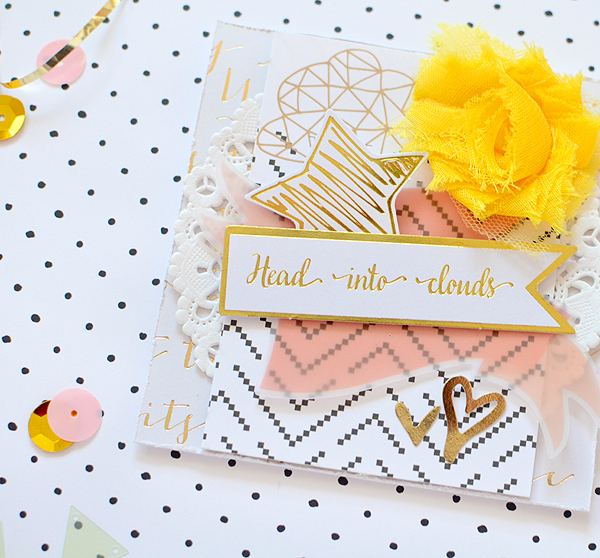 Their collection, Up In the Clouds, is so gorgeous--there's lots of gold foil, such cute paper patterns, and the embellishments are adorable! I've still got most of them out on my desk to keep using. I'm such a fan now! Another element I adored about the kits this month was all of the delicious and colorful patterns, which I took full advantage of for these cards. I tried to use as many as I could without overwhelming the project, and tried to find a playful mix that was balanced, as well. And with all of the different patterns and textures, I felt that simple, bold sentiments were best. I'm so happy to see that rubons have made a comeback--and they are as beautiful as ever! 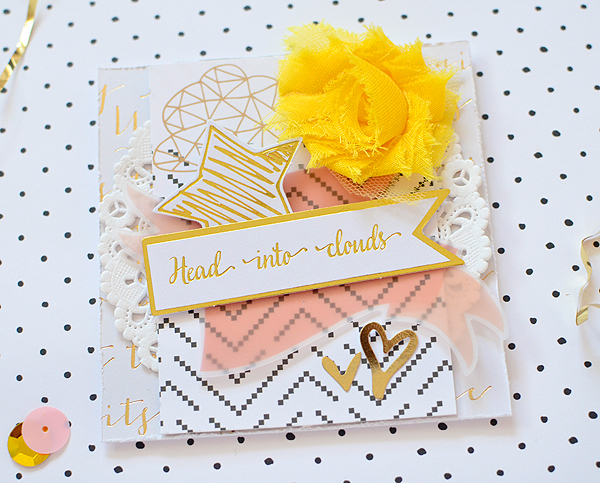 I used the geometric gold cloud above and the little petals below, both from Pinkfresh, and they just add a little extra interest to the cards. I think my new favorite thing is rubons on doilies now! Don't you love finding a favorite new technique almost by accident? 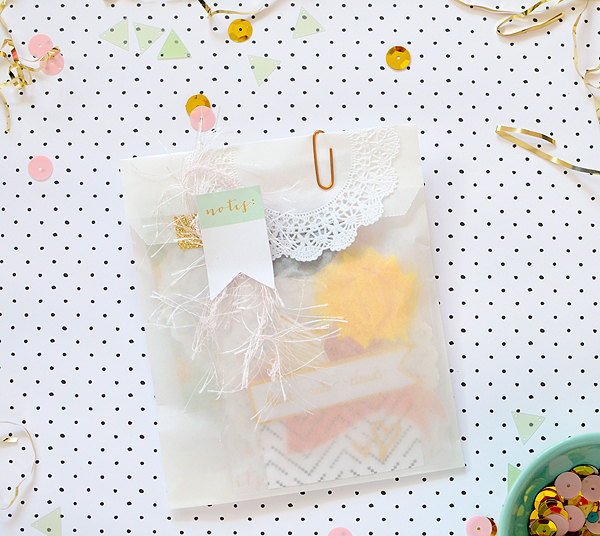 Before I leave, I have to show you the packaging...the flowers add a bit of bulk to each card so I slipped them into a glassine bag instead of an envelope. 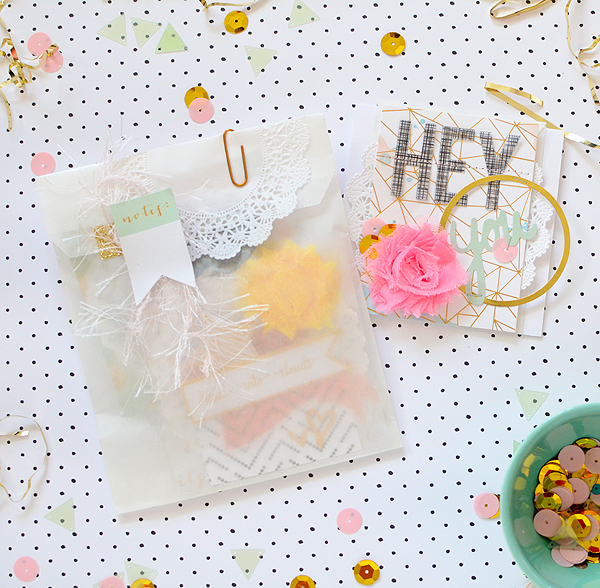 It's not perfect for mailing, but it's definitely a fantastic way to hand-deliver a card! 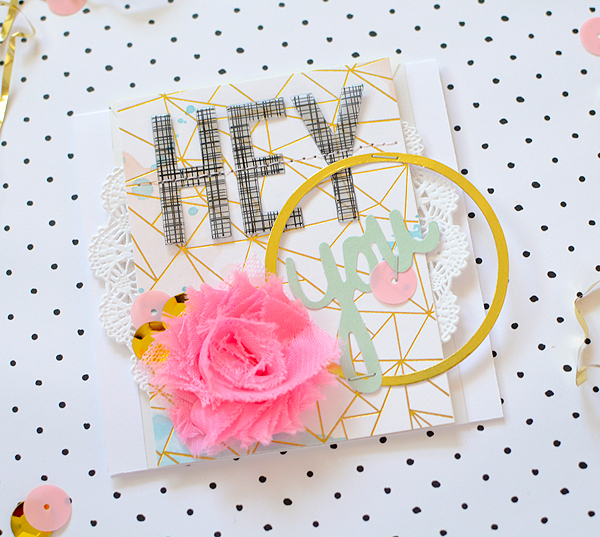 Don't forget to come back this weekend for the blog hop! these are so very beautiful!!! !